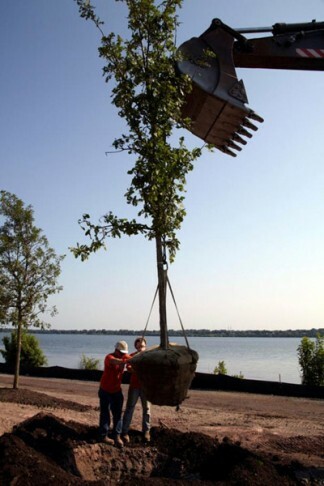 More than 1,100 plants, shrubs, and trees from more than 47 diverse native species were planted in 2011 to improve the lakeshore along I-690 in Geddes. The lakeshore enhancements, which the community helped design, will help create a welcoming “Gateway to Syracuse.” To date, more than 25 species of birds have been recorded in the area. 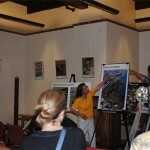 During the design process, nearly 100 people attended a series of public meetings. They suggested ways to improve the lakeshore with walking and biking trails, to enhance the visual connection to the lake, and support fishing access. They also recommended the use of diverse and sustainable vegetation to provide a more welcoming view for motorists entering and leaving Syracuse, and recognized the importance of considering traffic noise from I-690 while improving the lakeshore. 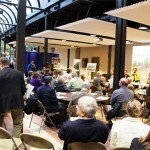 In October 2011, more than 70 people gathered at the F.O.C.U.S. 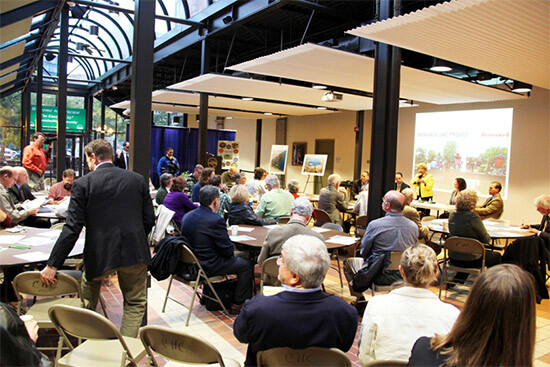 (Forging Our Community’s United Strength) Greater Syracuse community meeting to discuss a preliminary rendering of the Southwest Lakeshore and share their vision for enhancements. The rendering was based on suggestions from community members, municipal representatives, and local planners at a series of small group meetings. 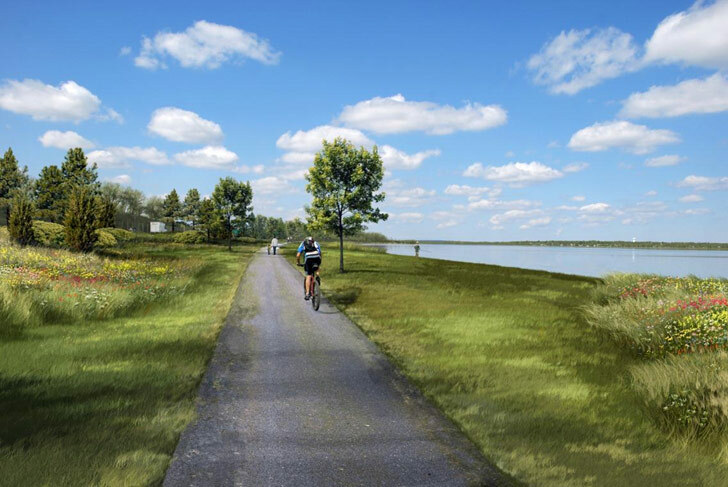 Suggestions included: increasing public lake access and recreational opportunities, connecting to an expanded trail system, enhancing scenic views, providing options for a mixed-use development, and more. 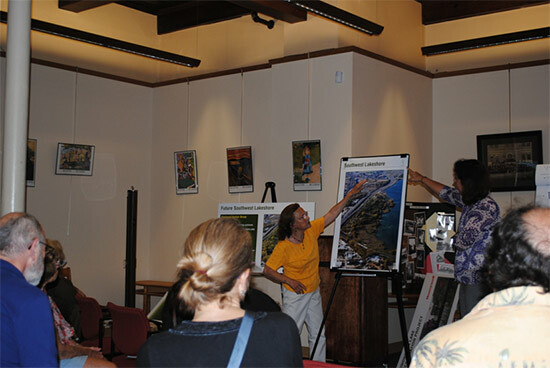 As cleanup continues, Honeywell will continue to engage groups in the Southwest Lakeshore visioning. 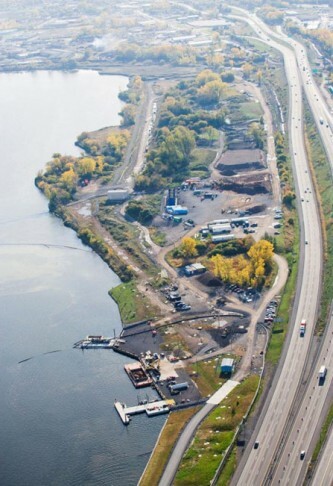 In December 2017, Honeywell finished implementing the Onondaga Lake Habitat Restoration Plan including enhancements along the southwest shoreline of the lake. Four acres of shoreline habitat and 14 acres of wetlands were created in Onondaga Lake and at Harbor Brook. Shallower areas will benefit wetland spawning fish, such as northern pike. Slightly deeper areas will benefit popular sport fish, such as largemouth bass. 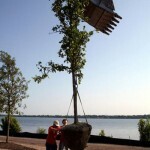 Approximately 167,000 native plants, including several thousand trees and shrubs, were planted. Earlier in 2016, several rock berms were installed, providing additional shelter for small fish and wildlife. One hundred ten wildlife species have been observed along the Southwest Lakeshore to date, including more than 75 species of birds. In April 2017, the U.S. 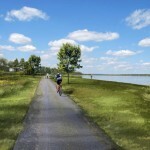 Fish and Wildlife Service and the New York State Department of Environmental Conservation (DEC) announced a series of new projects in the Onondaga Lake watershed, including improved lake access and recreational opportunities for the public along the southwest shoreline of Onondaga Lake. Honeywell has begun work to transform its lakeshore property to allow for public access and to prepare for upcoming recreational projects. This includes the extension of Onondaga County’s Loop the Lake Trail and a new public fishing pier. 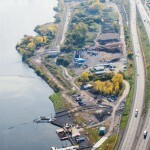 Final decisions about the cleanup for the land adjacent to I-690 along the southwest shoreline will be made by DEC in conjunction with the U.S. Environmental Protection Agency and the New York State Department of Health. For more news about this cleanup area, click here.